Two of Minnesota’s renowned theaters are joining forces to present The Wiz, adapted from L. Frank Baum’s classic story The Wonderful Wizard of Oz. The collaboration between Children’s Theatre Company and Penumbra Theatre bring Minnesota audiences the best of what both companies offer. Long heralded as the leading theatre for young audiences in the country, CTC creates artistically excellent, sophisticated theatre for multigenerational audiences, while Penumbra Theatre, the leading African American theatre company in the nation, produces artistically excellent, socially responsible drama depicting authentic representations of black life and culture. 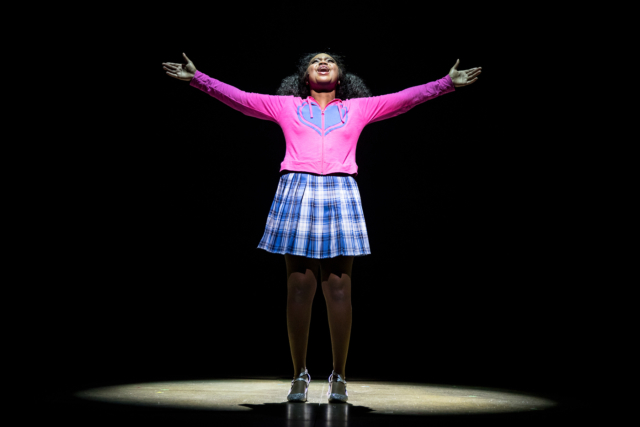 Paris Bennett, who was a top five finalist on the fifth season of American Idol, steps into Dorothy’s slippers, a role she previously played in the Edina High School production of The Wiz. Her senior year, Bennett’s moved to Georgia, where her grandfather convinced her to audition for American Idol, to which she agreed but said she would give up singing if she didn’t make it. Now, with a couple studio albums under her belt, Bennett returns to the Minnesota stage. Audiences might be familiar with the 1978 film version or the The Wiz Live! that aired on NBC in December 2015. How is this version different from what the audience might be used to? What can audiences expect? Paris Bennett: What audiences can expect is that the play gets straight to the meat of the message, but in a way in which you will still feel all the emotions given from the movie and the original play, just in an unbelievable, creative amount of time. CTC and Penumbra are nationally known in their own right, but they’re joining forces for The Wiz. What does this partnership between two powerhouse theater companies bring to the production? PB: The partnership between the two theaters brings about a real imagination, with education alongside it. Things we dream come alive right before our eyes with both powers together. The Wiz was originally created as a critique on conditions at the time. Since then, everyone finds their own meaning in the story. What kind of significance does the story of The Wiz and portraying Dorothy in our modern era mean to you? 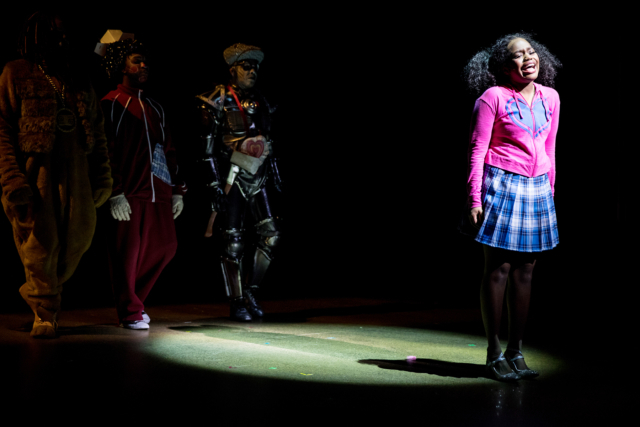 PB: The significance that The Wiz—and portraying Dorothy—means is listening and connecting with my heart. “Home” isn’t just a song to me it’s what life really is: finding placement and purpose in the people, places, and things around you! Whether in The Wizard of Oz or The Wiz, it seems like every theater actress touches the role of Dorothy at some point. How did you figure out what you were going to bring to your Dorothy? How did you approach the role? PB: I approached the role as myself using my daughter’s eyes. I asked her how she sees Mommy if/when I was her age. Out of the mouth of babes lies truth: Dorothy is a reflection of who I really am and was. Director Lou Bellamy said that his concept for this version of The Wiz is deeply rooted in African American history and custom. What do you hope audiences walk away thinking about? PB: I hope audiences walk away with the urge to identify with their true feelings and learn to recognize the lemons that life purposely throws at them just to distract them from who, and what, they truly are. The Wiz runs at the Children’s Theatre Company through March 25. For more information and to purchase tickets, head to www.childrenstheatre.org.